Bruce Lee: The Evolution of a Martial Artist. Welcome to “Chinese Martial Arts in the News.” This is a semi-regular feature here at Kung Fu Tea in which we review media stories that mention or affect the the traditional fighting arts. In addition to discussing important events, this column also considers how the Asian hand combat systems are portrayed in the mainstream media. Our first story is a sad one. 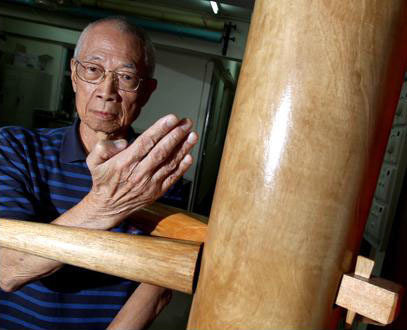 Chu Shong Tin, one of Ip Man’s original Hong Kong students died on Monday July 28th at the age of 81. The press had been reporting that Chu was battling cancer for a number of years. His passing will be deeply felt by the Wing Chun community. Throughout his long life Chu had sought to advance the art and was renown for his mastery of “Siu Lim Tao,” the style’s first, but also its most enigmatic, unarmed form. Over the years he had given a number of interviews that were very helpful to individuals attempting to understand the nature of Ip Man’s school and the evolution of the post-1949 Hong Kong Wing Chun community. More recently Chu published two volumes (complete with English language translations), which have been important statements on the art of Wing Chun. At some point in the near future I hope to be able to put together a longer statement on Chu Shong Tin’s many contributions to the Chinese martial arts community. Kung Fu film fans have been eagerly awaiting the third installment of the Donnie Yen series focusing on the fictionalized life of Ip Man. This particular project has been slowed by production delays and persistent questions regarding which stars (and even director) would be signed for the film. As it stands now the film is still moving forward, if slowly. The production team recently announced that their new script will focus extensively on Ip Man’s relationship with his student Bruce Lee, as well as the aging master’s attempt to find meaning in life while living and teaching in Hong Kong. This is something of a departure from the prior films in the series. While the memory of Bruce Lee has strongly marked the production of each of these films (for instance Bowman notes the many parallels between Ip Man’s battle in the karate dojo and Lee’s original use of the motif in “Fists of Fury”) he has never been a strong presence on the screen. In fact, I have heard a number of individuals assert that Ip Man was first advanced as a leading character specifically to avoid the legal and financial difficulties of attempting to produce a movie about Lee in the first place. Apparently these issues have been resolved and Lee will be getting substantial screen time in the new production. It will be interesting to see how this project continues to evolve. I will admit to having a soft spot for the Teenage Mutant Ninja Turtles franchise. That is probably a direct result of the percentage of my youth I squandered reading their comics and watching cartoons. As such I was terrified when the trailers for the current film started to come out. One would think that a group of professionals would not have had such a difficult time exploiting childhood nostalgia surrounding beloved figures of popular culture. Needless to say the initial reviews, even by individuals who like the franchise, have been terrible. 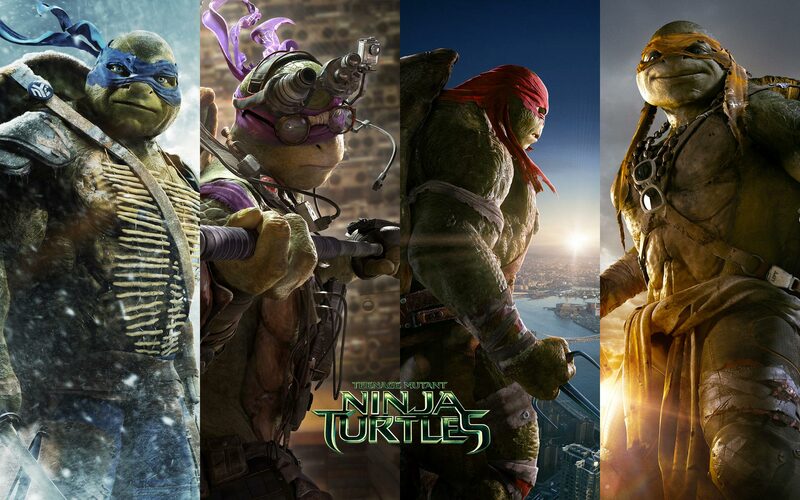 Here is my favorite quote from a reviewer who went out of his way to be balanced: “Instead of a fun and unchallenging limp down memory lane, “Teenage Mutant Ninja Turtles” is an energy-sapping exercise in futility that will leave you begging for less.” Perhaps the most positive review of this film was written by Gene Ching (the editor of Kung Fu Tai Chi magazine) who’s defense of the movie basically boils down to the statement that if you are coming to a show like this expecting to see a coherent back story, character development, or even a plot, you are about to get what you deserve. Still, it appears that exercises in nostalgia might create better conversational openings than movie scripts. Students of martial arts studies who are interested in the politics of popular culture will probably enjoy the following piece over at the Daily Beast examining the evolution of the Turtle’s (real or imagined) relationship with progressive politics and environmentalism. Amanda Hess at Slate instead decided to tackle the question of gender in the TMNT franchise. While she panned the movie as a whole, she was impressed with the new and more assertive April O’Neil played by Megan Fox. Ironically that same performance was the one element that stood out to Gene Ching as being particularly out of place and poorly imagined. It is interesting to see the sorts of discussion that people want to have about even popular martial arts films. If you happen to be looking for some late summer turtle based relaxation I personally would suggest turning instead to the current animated TMNT series on Nickelodeon. Will you feel guilty after spending an afternoon binge-watching these cartoons? Absolutely, but you probably won’t feel sick. Its nice to finally have some genuinely positive news to report about the Shaolin Temple. It seems that many of the stories emerging from the sanctuary recently have been a bit mixed. Still, this notice is helping to renew my faith that the institution is still advancing its core mission. Multiple sources are reporting that Shi Yanzheng, a 29-year-old ordained monk, has recently been accepted as a doctoral student at the University of Hong Kong. His story is fascinating and well worth reading. Shi Yanzheng is apparently a very serious student of Buddhist philosophy as well as the martial arts. In fact, he was first attracted to the temple because of its martial arts heritage. Still, he has a very different background than the “martial monks” trained in Dengfeng that support the temple’s various performance teams and traveling shows. It will be interesting to see how his career evolves, and whether more individuals like him will be entering the Sangha through the Shaolin transmission in the future. 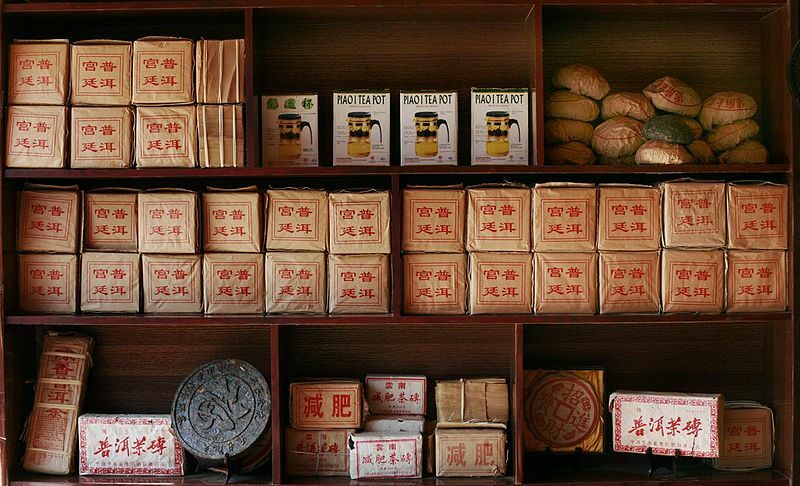 Its distinctive cuisine and martial arts were the first two elements of southern China’s popular culture to succeed in the global marketplace in the post-war era. 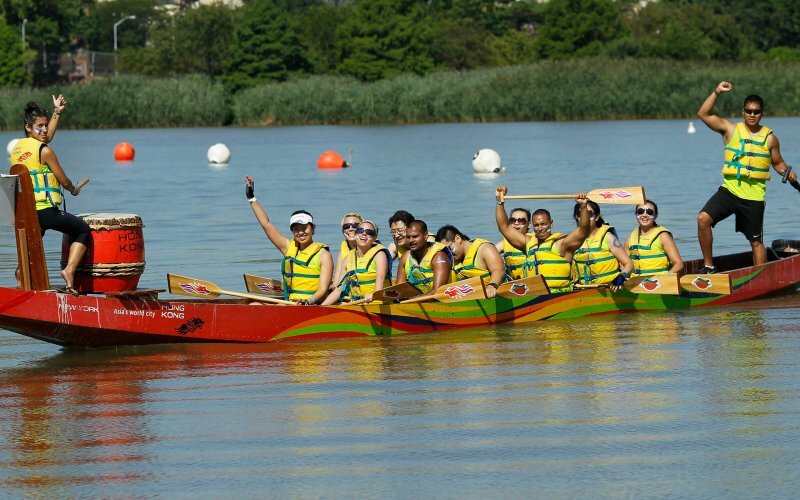 Now it looks Dragon Boat racing is about to go mainstream as it appears in cities around the globe. This distinctive aspect of Hong Kong life is being taken up a number of different groups, from investment bankers to police officers. The Daily Beast recent ran a well done article on Dragon Boat festivities in New York City. Given that this is an activity that is still in the process of expanding throughout western popular culture, it occurs to me that it might make a nice comparative case study for anyone interested in the process behind the earlier globalization of the Chinese martial arts. While we are on the topic of the globalization of the Chinese martial arts, its interesting to note how many individuals seem to be delving more deeply into their history and background. Most of these conversations are not restricted to the realm of academic investigations. Rather, the ways in which individuals at the more popular level interact with the the TCMA seems to be changing. See for instance the following discussion of the noted Hung Gar Master Lam Sai Wing. This piece was clearly composed to draw out a certain comedic elements. That is not really surprising given that the author is a professional comedian. Still, one can’t help but notice that individuals want a lot more substance in their entertainment these days, whether it comes in the form of discussions of the politics of the Teenage Mutant Ninja Turtles, or the biographies of historic TCMA masters. The South China Morning Post ran a profile of Alberto Mina, a local fighter and protege of Cung Le, who is preparing to make his UFC debut. Mina has an interesting story, and he discusses the evolution of the MMA environment in Hong Kong and China since his first arrival. This piece is more detailed than a lot of similar columns, and it may be worth checking out if you are interested in the spread of MMA in China. A couple of new books have been released in the last month. The first of these is Bruce Lee: Evolution of a Martial Artist by Tommy Gong (Black Belt Books, 2014). 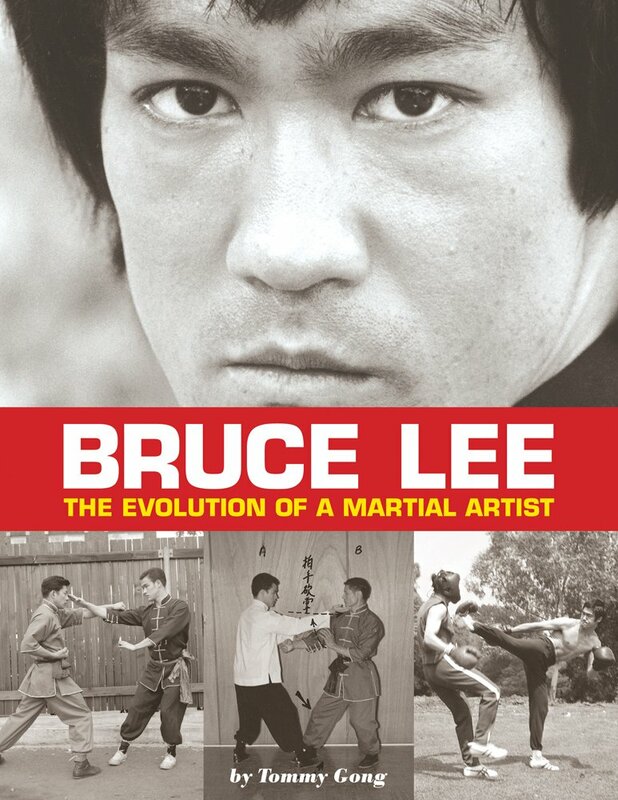 Written by a long time student of Ted Wong, this book attempts to provide a detailed intellectual history of Bruce Lee’s evolution as a martial artist focusing on the creation of Jeet Kune Do. It delves into the sorts of technical issues that many prior Bruce Lee biographies have glossed over, but which are quite important to practicing martial artists. As such it occupies a unique place in the growing literature on Lee. You can see my review of this work here. Jonathan Bluestein is no stranger to many of the readers of Kung Fu Tea. 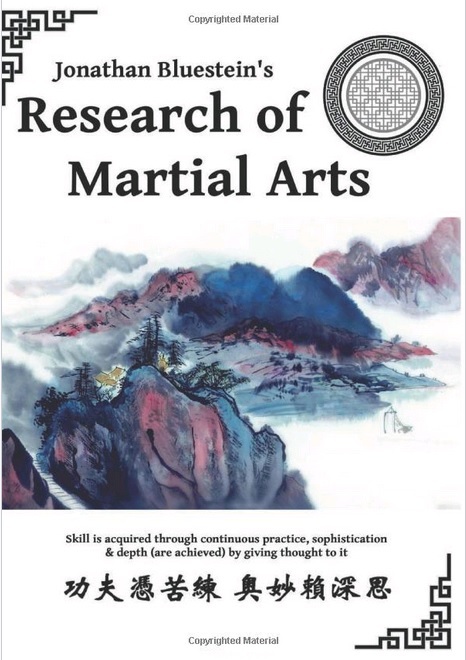 He has recently released a comprehensive volume summarizing his own research into a number of theoretical, philosophical and psychological issues in the practice of the Chinese martial arts. His work also includes an extensive section of biographical discussions that will be of interest to students of a variety of styles. You can read more about his volume here. There is always a lot going on at the Kung Fu Tea Facebook group. This last month has been no exception. First we had an exciting announcement. T. W. Smith has recently launched a new project called the Kung Fu Podcast. He will be putting together a number of programs that may be of interest to Kung Fu Tea readers over the next few months. Some of these will actually be adaptations of essays that I have previously written for this blog. If you are interested in being able to take Kung Fu Tea with you in the car or to the gym, head over over and see what he has been up to. Be sure to like his Facebook page so you can find out about new updates. We have also discussed a lot of other subjects. History seems to have come up quite a bit lately, including some great images of Ming era battles pitting Chinese troops against Japanese pirates, a look at Confucianism in the TCMA and discussions of both military sabers and the Military Examination system during the late Qing period. If its been a while since your last visit, head on over and see what you have been missing! If you enjoyed this post you might also want to read: Tung Ying-chieh and the Public Perception of the Chinese Martial Arts in Post-War Hong Kong.